After a forty-year detour, are we heading towards a plan envisaged in 1973? 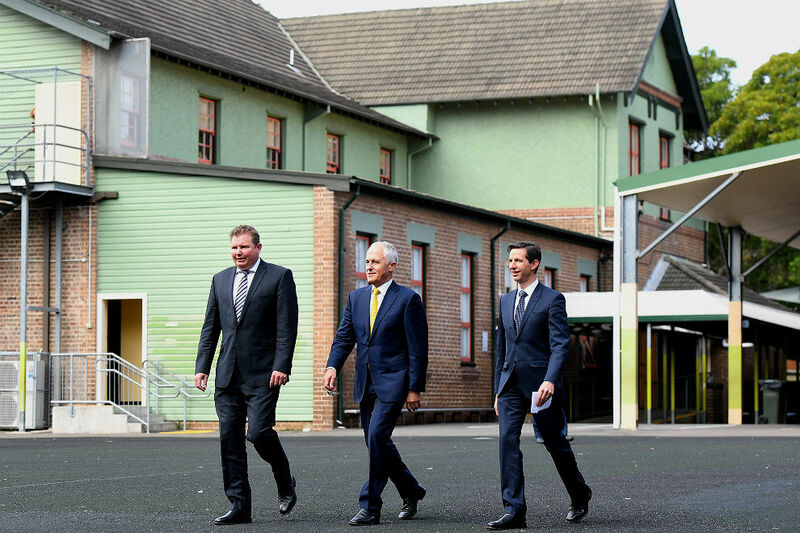 On announcement day, it was all about Achieving Excellence in Australian Schools. Ever since, it’s been all about money and politics. So what’s new? Nothing, and everything. It’s still the case that all involved are plotting and pitching and thinking inside the only box that most of them have ever known, a uniquely Australian Rubik’s Cube of sectors and fees and rigged rules and governments tripping over each other. Baddies have suddenly become virtuous (the Christian schools lobby, the Coalition government), heroes have turned into villains (Labor, the government schoolteacher organisations). Only the Catholic hard men, the Hapsburgs of Australian schooling, remain depressingly familiar, forgetting nothing, learning nothing. The Coalition: With a list of perfidies going back to the 1960s – from making obligation-free grants to independent schools to backing them in their fight against Gough Whitlam and his schools adviser Peter Karmel, from Howard’s nifty handouts to non-government schools great and small to the post-2013 double backflip on Gonski – who could blame the Australian Education Union, or Gonski panel member Carmen Lawrence, or anyone else, for smelling a rat? It’s true, there are some downsides to Simon Birmingham’s Gonski that the AEU and Carmen Lawrence and others should point out and worry about, and it is also true that there are some serious obstacles to be overcome between here and payday. But no sign of rats, yet. To the contrary. 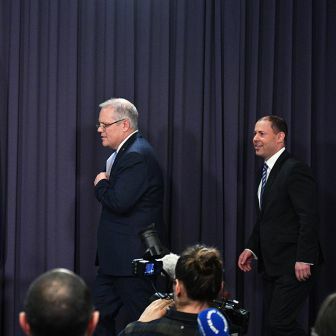 By all accounts, Birmingham trounced the right wing in the party room, and has given us the astonishing spectacle of a Coalition treasurer (this treasurer!) on national TV telling the Catholics that there will be no special deals, not for them, not for anyone. The independents: The independent schools lobby’s HQ has made some familiar noises (we only get half of what they get; most of our students are in low-fee schools “serving less advantaged communities,” and so on). But that is where they’ve stopped. It is reported that the independents have told Birmingham that they’ll wear Gonski 2 – including an end to the “no school worse off” rort – if and only if (and here is another breathtaker) there are no special deals for the Catholics! The cross-class alliance that took the Catholics out of the Labor fold and into the conservative orbit in the 1960s is, for the first time that I can remember, displaying a certain vulnerability. All very well for the low-fee lot (“serving less advantaged communities”). 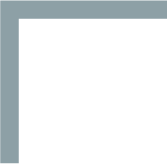 What about the other end of the independent sector’s wide, wide spectrum? The headmaster of the most notoriously “elite” school in the country, the King’s School at Parramatta, for example? Of course it was in the interests of government schools and their teachers, for the simple reason that they and their clientele – which includes the vast majority of the poor, the newly arrived, the disabled, the isolated and the Indigenous – had been short-changed for decades. If it was self-interest, it was very enlightened self-interest, and that is why the AEU’s efforts to mobilise mass support for Gonski were so strikingly successful. Gonski had cred, and so did they. For the moment, however, they’ve lost it. In the course of the long, hard Gonski campaign, the teachers sometimes dwelt on the money rather than the purpose. But now they’re open to the perception that money is all they care about. “This new review is only a delaying tactic,” one state AEU president said, in tones as churlish as Paul Kelly’s. Of course Birmingham’s drawn-out implementation plan and his big discount on the billions promised by Labor matter. But how much do they matter when stood alongside what the AEU has so passionately sought for a decade or more: sector-blind, needs-based funding? Not to mention that delicious icing on the cake, Birmingham’s hit list of “over-funded” schools. Labor is managing to look even worse. 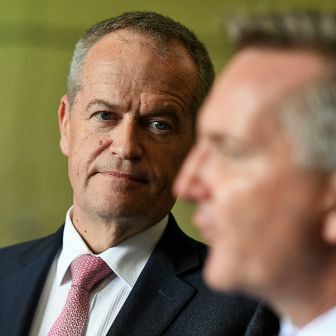 When a couple of months ago Birmingham first dropped the phrase “over-funded non-government schools,” Labor education shadow Tanya Plibersek demanded to see his hit list. Tanya Plibersek! Not just the sensible and fair-minded MP capable of taking a position well before it becomes popular (on marriage equality, for instance), but the deputy leader of the party that has been traduced and perhaps even kept out of office by “hit list” hysteria – and which, even more than the teachers, claimed, through Gonski, the high moral ground. That was a couple of months ago. Now, greater depths have been plumbed. Plibersek and Bill Shorten were entitled to say: You bastards! First you trash Gonski, then you back it, then you trash it again and now you say you’ll deliver it. Well, let’s hope you’ve at last realised that it’s a great thing for schools and for the idea of equality as well as an electoral asset. We’ll turn the other cheek. You dudded us, but we’ll back you – and when we’re in office, we’ll go one further. We’ll pay up, in full. That’s what they could have said. What they actually said was all about the “political bastardry,” and the money – and not about its purpose-driven distribution or its effective use, but just amounts of money. And, talk about doing deals for the Catholics! This is vote-chasing politics at its most base, and politically stupid as well, likely to lose Labor more votes than the hard men of the Church can deliver, in an electorate sick of political games. The Catholic hard men: Difficult though it is to imagine, the Catholics were Labor-aligned in the 1950s, and the bumbling amateurs of school politics. By the end of the 1960s, they had moved into the conservative camp, where they played the hardest of political hardball, and they have done so ever since. There have always been those in the Catholic school system and, to a lesser extent, inside the Church, who disliked that stance and behind closed doors said so. But it has been men like Stephen Elder, executive director of Catholic Education Melbourne, who have run the line. This kind of humbug has, until now, worked. As recently as 2015 it delivered a sweetheart deal with the incoming Victorian Labor government entirely at odds with the “Gonski principles” that the government professed. But the wheel is turning. The problem for the hard men is that they have been too successful, steadily driving towards a reality that now subverts the moral basis of their claims. The Catholics, moving upmarket, have flicked their “mission” to the government schools, which have not only vastly greater numbers of “disadvantaged” children and children with disabilities than the Catholic, but also a much higher proportion of their enrolments. What’s more, almost all of the steadily growing numbers in the nominally Catholic system are coming from non-Catholics. Catholic schools, far from being impoverished, are better off than the government schools they once envied, and not just because they can tack fees on top of handsome subsidies from both state and federal governments. In a small but growing number of cases, Catholic schools get more from the public purse than do comparable government schools. 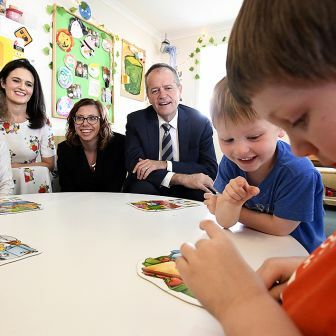 It is hard to know which is less edifying, the self-centred special pleading by representatives of the Catholic schools, or Shorten playing footsies with it. Where now? Every one of the protagonists in this tale – from the patrician headmaster to the aggrieved teacher unionist, from Bill Shorten and Simon Birmingham to the spokesman for the Christian schools, indeed from the Catholic hard men to Gonski himself – is doing his or her thinking and claiming and proposing within a mental universe set by the circumstances that they address. Nothing proposed first by Gonski and Labor and now by the Coalition and Gonski will in and of itself either solve our educational problems or bring to an end the chronic and massively debilitating conflict between sectors, governments and political parties. Nor will Gonski 1 or Gonski 2 in and of itself reverse the growing social and ethnic segregation of Australian schools and the accompanying problems of educational “performance” and inequality. Gonski, in whatever form, is an important step towards improvement on these fronts, but just one step of the several required. On the educational and social side of the problem, more in a moment. On the structural problem: we are for the first time within shouting distance of a public discussion about a possibility that should have been discussed and carried out in the 1960s, as it was in countries as disparate as New Zealand and Finland. Consider this: if all non-government schools, including the Catholic schools, were to be fully funded from the public purse in the way and to a level proposed by Labor and now by the Coalition – no fees to be paid, by anyone – the additional cost to the budget would be somewhere around $2 billion. In the event of full public funding for Catholic schools, Mr Elder might legitimately worry that those schools would be “taken over” by government, or would lose their “special character.” That would be the moment to think about looking at arrangements in any one of dozens of countries to see what might be the best way to meet these entirely legitimate concerns in Australia’s distinctive circumstances. Some of the many possible solutions to be found elsewhere might even have the advantage of extending choice to those many who currently do without. Such developments when taken together with changed patterns of funding open up the possibility of the eventual development of a school system itself diverse, where all schools supported by public money can operate without charging fees. That was Labor’s adviser, decades ago. What should Labor do now? It is important for schooling (and for the party) that Labor regain the high moral ground. That can’t be done by outbidding the Coalition or by cosying up to a Catholic leadership that has yet to grasp that its golden run is coming to an end. It can be done only by building on the Gonski platform, and doing so before Gonski 2 reports in December. 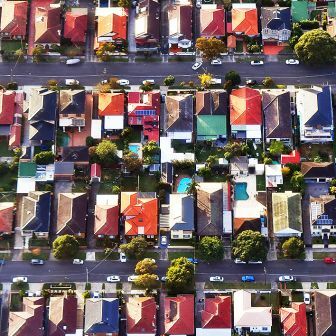 By all means persist with commitments to deliver funding as promised, but promise also an expansion of Gonski 1 in ways that tackle educational reform more directly, and that canvass the possibility of more thoroughgoing structural reform. • Labor should say very clearly that Gonski is vital, but neither Gonski nor any other single-focus reform can deliver, by itself, substantial educational improvement. It might underline the point by citing a list of necessary reforms prepared by the head of the Australian Council for Educational Research. • Labor should say that Gonski 1 was right to regard improved “outcomes” of the PISA and NAPLAN kind as fundamental. But, Labor should now add, so are other things. The character and quality of life at school, differences in the social composition of schools, and “social” learning are all at least as important and no more difficult to measure and report on than “outcomes,” and that is what it should undertake to do. • Gonski 1 wanted funding for need to go directly to the schools concerned. A problem for this commendable policy is that most schools have little or no experience in deciding how to spend money to greatest educational effect – that is, in finding the most cost-effective interventions. Nor do most researchers, captivated as they are by “effects,” but with no consideration of costs. A very good start has been made elsewhere in finding out how to get the most bang for the educational buck, and how to help schools do it. Labor should commit to a substantial program of R&D – not “research” – to adapt that approach to Australian circumstances. • Doing a Gonski across schools is only half of the job; the other half is to do a Gonski within each school. Schools, too, should allocate their resources according to need. Gonski’s new dollars should be used to free up old ones, to mobilise the resources that already come through the school gate in frozen form. Labor should undertake to get the industrial parties to sit down and work out how to give schools more scope for aligning resources with need. It might even make the specific suggestion that the best starting point would be to move from a maximum size for every class to a maximum average class size. • Gonski 1 recommended a new “national schools resourcing body.” That recommendation was the first of many to be discarded. It must be reinstated. No new funding scheme can work without it or its equivalent. Labor should commit to it. Dean Ashenden was a policy adviser (1983–85) to the minister for education, training and youth affairs, Senator Susan Ryan. He is a Senior Honorary Fellow at the Melbourne Graduate School of Education. 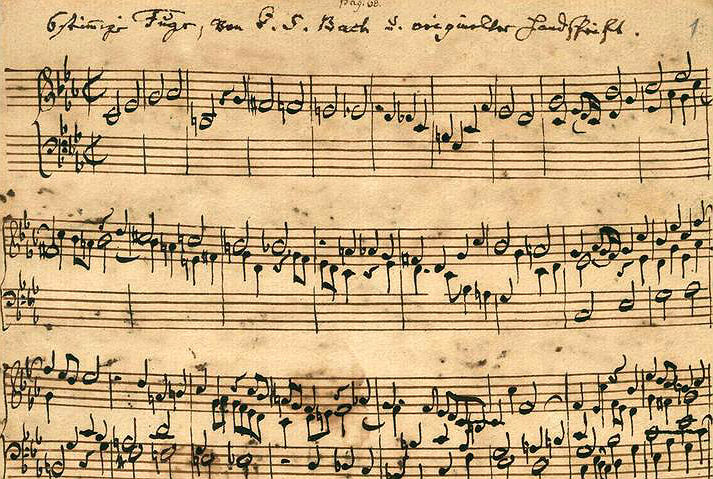 Best written down: the opening bars of Johann Sebastian Bach’s A Musical Offering.